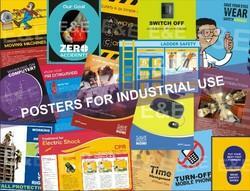 Interesting Posters & Charts attract the attention the attention of the people at workplace. When they look at these displays repeatedly, they tend to remember these concepts and hence the implement the same. 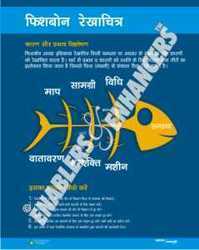 Enablers & Enhancers have wide range of Posters on Safety in Hindi. 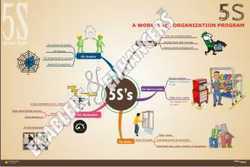 Posters in Hindi can be displayed on shopfloor for workers. Set of 14 Posters in Hindi on Fire safety. GMP is one of the most profound requirement in the pharmaceutical industry. Continuous efforts in terms of training, counselling, visual controls & other administrativemethods are used to control employee behavior for maintaining the GMP standards at your facility. E & E , your partner in workplace communication, has brought out a set of 23 designer Posters on GMP that will enable you to implement world class standards in your organization. Posters by E & E are well researched with authentic contents, graphics and motivational visuals. Set of 20 Posters on Quotes by Mahatma Gandhi In Hindi.